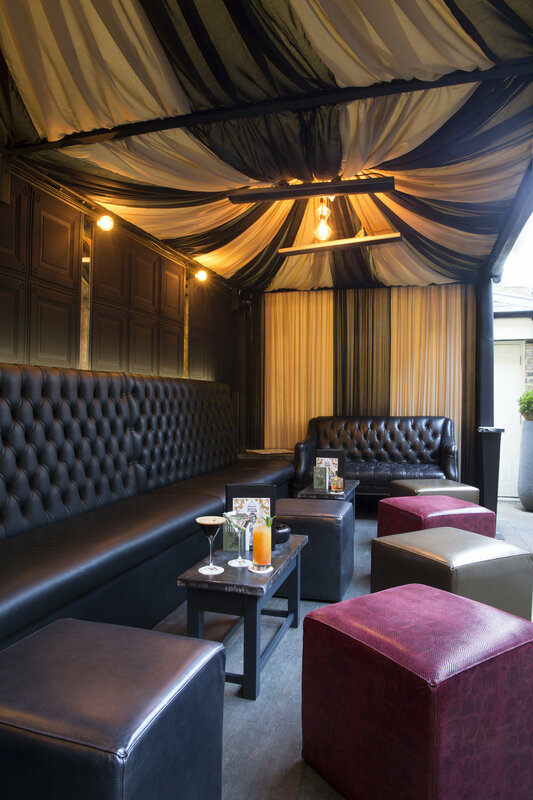 Eliská Design Associates were asked to create an alfresco Cigar snug for Home House Private Member's Club in Portman Square, London. 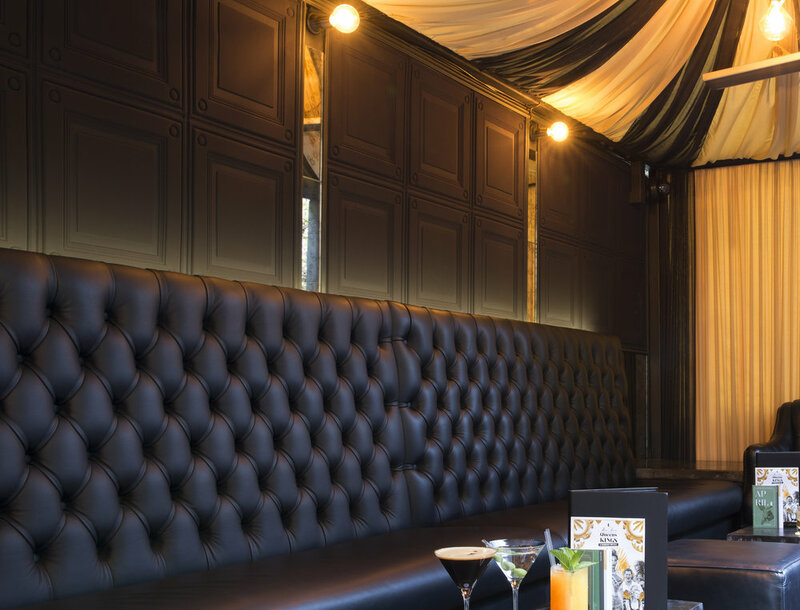 The client requested a dark and moody, yet colourfully highlighted "Fumoir" snug in a site specific area of the exclusive club- an area to reflect the ethos of the club, allowing the members to enjoy a cigar and drink. Eliská delivered an elegant and enduring space that could be used by guests all year round. 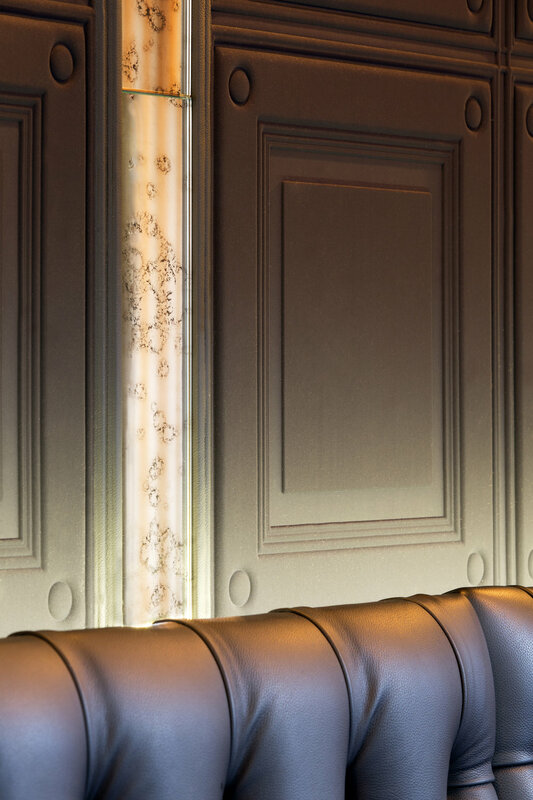 Finishes were paramount- the client asked for a contemporary version of the classic Chesterfield buttoned banquette, and to create as many seating options as possible within a limited space. 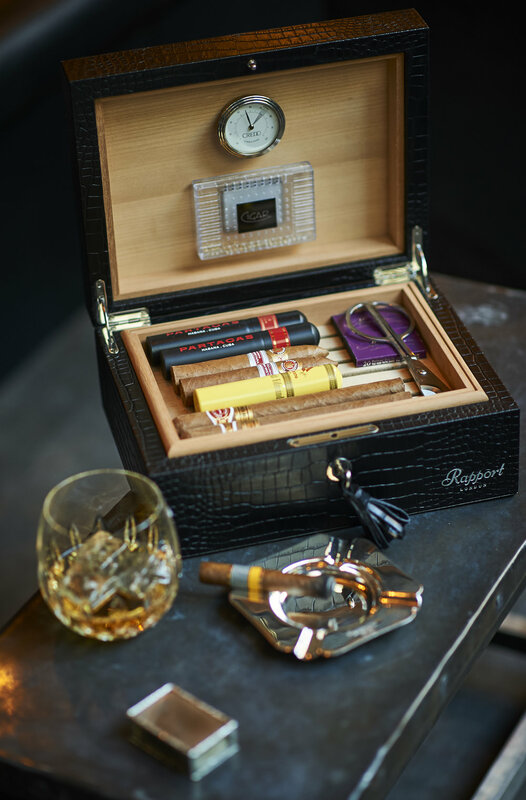 Slick, but comfortable, with a resonance of this iconic club's architectural heritage- the studio was asked to focus on bold leather details evocative of heritage luxuriousness and to describe through design the timeless combination of leather and tobacco.